The current online voting for Wednesday (May 7, 2014) night’s Intelligence Squared debate shows Dr Moody and myself (Dr Eben Alexander) victorious (currently 68:32, from 50:50 before the debate). I suspect that is related to the listeners’ awareness that an audience of neuroscientists would have agreed with me, against Steven Novella, that no neuroscientist on earth can give the first sentence to explain a possible mechanism by which the physical brain creates consciousness (the Hard Problem of Consciousness – see below). The brain is obviously tightly linked to consciousness – the mistake is in believing, as I did before my coma (and the debate opponents Novella & Carroll still do), that the brain creates consciousness. I now know otherwise. More modern scientific thinking – that is sweeping the field – is that the brain is a reducing valve, or filter, that reduces consciousness (that is primary in existence) down to a trickle – our very limited human awareness (that is liberated to a much higher level when freed up from the shackles of the physical brain, as happens in near-death experiences, actual death experiences, shared death experiences, through deep meditation, centering prayer, the gift of desperation, etc). The scientific implications are stunning, and basically provide powerfully for the reality of the afterlife. This is the new science that will become dominant over the next decade. The online audience is probably more cognizant that I would have been widely supported by the global physics community in pointing out the very deep mystery of the measurement problem in quantum mechanics – the profound mystery within quantum mechanics that the observing mind is critically entangled with what is being observed. Consciousness paints reality. Unfortunately, the audience then got cheated out of what might have been a more interesting and meaningful exchange. Sean Carroll made a joke agreeing with MIT physicist Scott Aaronson that “since both quantum mechanics and consciousness are confusing, maybe they are the same.” Laughter. So much for useful interchange and scientific discussion. The physics community has only become more befuddled by recent experimental results suggesting that consciousness is at the very core of all reality. Those founding fathers of quantum physics would be even more mystified today (witness the delayed choice quantum eraser experiment in 1999). They have not “figured it all out,” as Sean suggested. The physics community at large would agree with me, and probably wonder how any physicist in the modern world could claim to say “now we know better,” than the likes of Einstein, Bohr, Heisenberg, Schrödinger, Jeans, Wigner, and others. As if he is so close to the truths that evaded the brilliant early minds that developed the field. Totally wrong! Carroll has written popular books about some of the concepts, though he actually seemed unwilling to discuss any relevant aspects of quantum theory in the debate – not only about the measurement problem, but also about the 1935 EPR (Einstein, Podolsky, Rosen) paradox that highlights the non-local aspect of quantum mechanics (intriguingly related to the non-locality of consciousness mentioned by myself in the debate). Clearly Carroll chose to make a joke and deflect any discussion about the deep mystery of the measurement problem that remains completely unresolved in modern quantum physics. I have been concerned for a long time that, with the notable exception of British mathematical physicist Roger Penrose, most mainstream physicists today seem to be woefully uneducated in the importance of having a much deeper understanding of the nature of consciousness (and the profound depths of the Hard Problem) if they want to truly get closer to an understanding of the nature of reality. The mind-body discussion has been ongoing for around 2,600 years, and is at the very heart of the issues raised in this debate. Modern neuroscientists, in their increasing knowledge of the workings of the brain, have not been coming closer to an understanding of how the brain creates consciousness. In fact, they have come closer to truly appreciating the unfathomable depths of the Hard Problem of Consciousness, arguably the most profound mystery known to all of human thought. In essence, the Hard Problem was stated in the debate when I challenged Steven Novella to offer the first sentence in his explanation of how the physical brain creates consciousness. That’s all – just the first sentence. Steven was speechless. It is not his fault – as I pointed out, no neuroscientist on earth can offer the first sentence in explaining what Novella claims is “widely known,” with the implication that they are almost there. This is the most obvious case of a faith-based religion imaginable! It’s interesting how my opponents call for “extraordinary proof” for extraordinary claims, yet there is absolutely no proof for the concept that brain creates consciousness. Not one word to explain what they claim to be widely accepted in science. This is a crashing thunderbolt that demolishes simplistic scientific materialism. Consciousness exists primarily. The brain acts more as a reducing valve, or filter, reducing consciousness down to the trickle of our human awareness in the material realm. The only thing any one of us truly knows to exist is our own consciousness, itself. Remember that modern neuroscience dictates that everything any one of us has ever experienced since before we were born, everything, is nothing more than the assembled patterns of electrochemical flickering of 100 billion neurons in a 3 pound gelatinous mass (our brain) floating in a warm, dark bath – a model of what we assume to be “external reality,” but just a model – not “reality” itself. They assume that the sheer complexity of the brain somehow creates consciousness, yet no one on earth has the faintest idea how to connect the dots. Any theory about the nature of reality must begin with a far more complete description of the nature of “consciousness,” and especially of the relationship between consciousness and any “reality” that exists. The very daunting nature of this enigma is so profound that many scientists run away, claiming it all to be too deep a mystery to even consider from a scientific viewpoint. However, there is a growing cadre of scientists, like myself, who are charging straight ahead towards a deeper understanding of this profound mystery at the very heart of our existence. Some neuroscientists and other materialists have recently given up on pure materialism (brain creates consciousness), notably Christoph Koch (a colleague of Sean Carroll’s at Caltech) and Galen Strawson. I noticed Karl Jansen who wrote the Ketamine paper on the “against” list provided for the IntelligenceSquared debate now acknowledging at the beginning of that article the role of spirit, not just brain chemistry, in NDEs. ‘I am no longer as opposed to spiritual explanations of these phenomena as this article would appear to suggest. Over the past two years (it is quite some time since I wrote it) I have moved more towards the views put forward by John Lilly and Stan Grof. Namely, that drugs and psychological disciplines such as meditation and yoga may render certain ‘states’ more accessible. The complication then becomes in defining just what we mean by ‘states’ and where they are located, if indeed location is an appropriate term at all. But the apparent emphasis on matter over mind contained within this particular article no longer accurately represents my attitudes. My forthcoming book ‘Ketamine’ will consider mystical issues from quite a different perspective, and will give a much stronger voice to those who see drugs as just another door to a space, and not as actually producing that space’. The suppression of uncomfortable ideas may be common in religion and politics, but it is not the path to knowledge, it has no place in the endeavor of science. Dr Carl Sagan lamented the rising prominence of ignorance in the predominant cultural thinking of the time. It is interesting how the tables have turned – that pure materialist “scientists” suppress uncomfortable ideas, and are willfully ignorant of the abundant evidence of the afterlife. Sagan would be gratified that many modern scientists, and so many souls enlightened by their own experiences, are fully addressing the deep mysteries of consciousness and quantum mechanics (especially in light of the remarkable experiences related to the afterlife question) and the very nature of all existence. These scientists and spiritual journeyers have become the enlightened ones so confronted by the rampant ignorance of the deniers and debunkers. I am optimistic, however, that reason will prevail, and that the world will come to fully realize the tremendous implications – including the reality of the afterlife. i believe your story, i have had other experience, yet not disimilar. i find subjective experiences can be valid. i think consioussness is valid. how can someone look at bird beaks and come withh hypothesis of natural selection. there is an intial question, and following that proofs etc. but there are initial stages of questioning. if thousands have had similar experiences, light,tunnel so on in nde, i say as in philosophy, the subjective has become objectivhe and is also worth looking into. I am a Registered Nurse and had 2 patients and 1 nurse, reluctantly at first, share their near death experiences with me. All of them were dying and one had actually been declared dead and resuscitation efforts had stopped. The nurse said, “I’ll never forget the experience, It was the weirdest thing that ever happened to me.” She was standing on the side of the road watching herself lying in the road just after an accident. She said that we don’t die, there is something else. The experience was over in a flash and she was back in the road in her body. The next person said that she died when she was giving birth. She watched the resuscitation efforts and commotion from the side and could see herself lying on the hospital bed. She said she became very small and was riding on a nurse’s shoulder as the nurse ran into another room to get a resuscitation medication. While telling me the story, she laughed and said she was actually having fun. She said it took her a long time to tell anyone about the experience. The final person was actually declared deceased and resuscitaion had stopped. She said she could see 2 very large (approx. 9 ft tall) angels in the room and was communicating with them. She said the angels were speaking but their mouths were not moving…..they were thinking out loud. She said they had the most beautiful golden wings. The angels told her that everything was going to be ok. This patient pulled the blanket off of herself and said, ‘Hey….I’m not dead.” The doctor told her that they believed she was gone. She too said the she was reluctant to talk about the experience that even her husband didn’t believe her . Oh and I forgot to mention that the “quantum randomness” aspect may be due to some higher consciousness manifesting its free will and/or the influence of non-physical (subtle) energies which scientists cannot perceive and thus the outcome appears unpredictable. Reading a certain esoteric source that delves deeply into the relationship between consciousness and matter helped me to make some sense of the quantum enigma and perhaps offer a potential solution or interpretation (even though it wouldn’t be scientifically accepted because I don’t know the mathematics behind quantum theory). Basically, atoms and subatomic particles are forms that are “made of” subtle (etheric) energies. For a form to sustain itself it must be activated by vibrations, otherwise it becomes latent and temporarily dissolves into its constituents. I suspect this is what happens to quantum particles when they are not measured and don’t interact with the environment; they revert to a more subtle energy state. Measurement or environmental interference compels them to manifest their particle-like form again, and this occurs because the denser energies (vibrations) that are behind the physical particles in the measuring device and the environment resonate with the energies of the particle in question and make it manifest a denser form. In addition, all forms contain some degree of consciousness because they are manifested by consciousness and because the purpose is for consciousness to evolve through forms (and as it does so, the forms evolve as well). The consciousness in atoms and subatomic particles is such that it lacks self-will but manifests habitual/conditioned patterns when “provoked.” This is why there seems to be a mysterious connection between the mind/consciousness of the observer and the behavior of quantum particles. The particles are informational because they contain consciousness and it is the rudimentary consciousness in them that allows them to respond in habitual ways to “measurement” or environmental influence. Because all consciousness is ultimately one (although every individual is a focal point), all forms are collective consciousness beings. The consciousness and energy of the measuring device and the environment compel the quantum particle to manifest as a particle and assume its respective role in the collective consciousness of the system. One can say that the apparent determinism and order of the physical realm is due to the quantum forms having been conditioned to manifest in certain ways by a higher consciousness. Thus, they are like the “subconscious” of the Divine because they have been automatized by higher consciousness and do not need direct supervision on its behalf. What do you think of this interpretation? Excuse me for being so blunt, but in the book ‘Journey of Souls’ it is erroneously arrogant to claim demons do not exist. Even the global elite and Illuminati know that is not true. Thank you Eben for being so brave to publicly share your knowledge and your ideas and facing the blinded critics. There are so many books out there and studies have been done. Lommel’s Books, Moody, Irreducible Mind… It has all been there, but for me, it was actually your book (that made it up to the bestseller lists), that gave me the possibility to become aware of such debates, to become aware of this great knowledge and get deeper into it by reading all the other books. Thank you Eben. Dr Alexander starts this blog entry with a claim of victory (“The current online voting for Wednesday (May 7, 2014) night’s Intelligence Squared debate shows Dr Moody and myself (Dr Eben Alexander) victorious “). That is absolutely incorrect. The IQ Squared results were given at the end of the debate, and the Carroll/Novella side WON the debate. This is not my opinion – these are the official results of the IQ Squared debate. I understand why you’d think that. But actually, there are two separate votes counted for IQ Squared: the live audience (of ~1100) and the online audience (of ~7700). As Dr Alexander noted, the online voting showed him and Dr. Moody victorious (by more than 2:1). You can find more info about how Intelligence Squared voting works here. I just saw a headline that a man named Luke Dittrich has debunked the hypotheses presented in your book “Proof of Heaven.” What is your response to his opposition to your claims? I wrote a truthful account of my experiences in PROOF OF HEAVEN and have acknowledged in the book both my professional and personal accomplishments and my setbacks. I stand by every word in this book and have made its message the purpose of my life. Esquire’s cynical article distorts the facts of my 25-year career as a neurosurgeon and is a textbook example of how unsupported assertions and cherry-picked information can be assembled at the expense of the truth. You might also be interested in a look at this piece by researcher Robert Mays, who spotted some crucial flaws and embellishments in Dittrich’s article. Thanks for posting this link. Excellent review of the debate and the missed opportunities that Dr. Alexander and Dr. Moody had to counter the negative side. Greg Taylor, the author, gives some very good counter arguments that could have been used. Perhaps Dr. Alexander and others could comment on all this. One more comment- in Proof of Heaven Dr. Alexander discusses his journey into the underworld where he encountered reptilian like creatures. Of course, that is nothing new. David Icke writes about this extensively in his books…and how the Reptilians have hacked into Saturn and the moon and world leaders to dominate and control humans. Ever noticed how even cars have the Saturnian symbol? and the symbol of Baphomet. Ever consider there is a specific reason for it? In David’s book, The Biggest Secret,’ you can also learn what REALLY goes on at China Lake. And, don’t forget the book ‘Bloodlines of the Illuminati’ by Fritz Springmeir. Whoah, I am not a doctor or a scientist, (more right brain artist) but your talk on particles reminds me of Katie Souza’s teaching on The Glory Light of JEsus. Its sort of fun to put the light on oneself or someone else. There /There is science behind light. As a kid growing up, I had clairvoyance, visions, dreams, believed in God/jesus, the Bible but never ever believed in reincarnation, only heaven and hell. Actually, Edgar Cayce did talk about reincarnation in the book ‘The Story of Edgar Cayce’ on pg. 222. Speaking of right brain, I recently saw a you tube video of Greg Braden discuss how a healer was shown to be using the right brain mostly when she was healing someone in the other room of a tumor. The right brain lit up, the left brain was rather inactive. In the book ‘Your Past life and the afterlife,’ by Dr. Feinstein, there are fascinating pictures (ok, gross, but cool) of psychic surgery, how the surgeons did not use instruments, and of course, the AMA was after the healing ministry because it was curing people. This may be obvious, but it seems to me that if a person is having an experience like Dr. Alexander’s then the “medium” in which that experience occurs must have “mind-like” qualities itself – otherwise how can the experiencer undergo such “travelling” with such richness during it all and also bring back the experience to their own mind (and brain) when they have recovered. The issue is to do with the concept of “likeness”. It reminds me of elementary particle collisions in particle accelerators where particles such as protons, antiprotons, electrons and positrons will interact well with each other due to the nature of the forces which govern such collisions (electroweak and strong forces). On the other hand, neutrinos are particles which only interact very weakly with ordinary matter and can actually pass through the Earth with no interactions at all. Their properties are very dis-similar to protons, electrons etc. So there is little “likeness”. I never really believed in reincarnation, or ‘past-lives’ or floating around the ether until I got really sick and went thru strange phenomena. When I would be in my body but out of my body. Then I read about Edgar Cayce and he was afraid of his gift, but it got me thinking more open minded. Now that I am getting stronger and healthier (notice our words create reality), I still question, ‘Do people REALLY have past lives or are those demons, because demons live everywhere and can deceive! So they would KNOW about the life of someone else” Then I am like, ‘The Bible does not really mention past lives, but then again, didn’t the church take away some of the ‘meat and bones’ in the Bible, because they tried to take control?” See, these are my questions to myself that I have had for several years. Then sometimes my dreams are so vivid, that I find out ‘This does exist, This place does and did exist!” and I can’t tell if I had been there or if I was time traveling, or of God/Spirit just wanted me to research it, or if its a simple interpretation of a soul wound being healed, or what!GRRRRRRR- now that is my 7 life path. And just today this random lady on the phone said, ‘I read a GREAT book called ‘Journey of Souls’ by Newton and its about past lives. One small example, I had a dream I witnessed 2 white people being hung, and the black slaves rebelled. When I researched this place and time period, it looked exactly like my dream, even the small two story house is still standing, with a small lake nearby, and that actually did happen. They rebelled. So I wonder, ‘Was I witnessing myself decades ago being hung and is that why my neck hurts all the time?” I have NO idea. As regards reincarnation and the Bible, you might be interested in reading the book “Reincarnation in Christianity: A New Vision of Rebirth in Christian Thought” by Geddes MacGregor. It’s available on Amazon for a low price. Dr. Alexander recommends “Journey of Souls” by Dr. Michael Newton on his Recommended Reading List. Also check out Dr. Newton’s “Destiny of Souls” a follow-up book. I watched this debate and observed what appeared to be a very closed minded discussion from the other side. I have to say that it reminds me religious fundamentalism, where no other possibilities exist. I was looking at 2 men trapped in a room with a ceiling that was right above their head and there didn’t seem to be any way out. Your side had an endless ceiling. Smiles, relaxed,ease and comfort were coming from your side of the debate. The other, terse, almost angry and quite a sarcastic tone. I would say, if these are they way these men are than it makes total sense why they believe what they do. It would also make sense why they won, when we think of the state of the world, particularly the US right now, fear based! I think it is so scary for people to believe this. It reminded me of what our President goes through when being sincere with answers, and he being cast away in similar reactions, all based in fear, which stops progress. As long as fear remains predominant, it will be quite difficult. I want to mention Dr. Alexander, one of the men from the other side stated that when someone can read a deck of cards that he would put up to a ceiling, he might change his thoughts. I want to mention, on youtube, from the news, a patient had a NDE and was able to tell her doctor that a shoe was on the roof that was a light blue. This was in fact the case, as her NDE took her out of the room above the hospital. I am confident that the mission of many people like you Dr. Alexander, will grow stronger and stronger. In fact, I think it is quite strong now. I think there will be an incredible time period where this will become front and center in mainstream, thanks to your experience, and others. Keep up the AMAZING work! Seems when someone is ill, and spends time alone, and has a 7 numerology, encounters with spirits, ghosts (dead people, or people in the ether) demons, and angels are magnified a thousand fold. Just the other month,I had listened to Katie Souza’s teaching on the spirit of pride, or had read about it, and how the demonic king LEviathon can wrap itself around someone causing pain. So that night, as I was out of my body, I went downstairs and there was a 30 foot long snake, about 3 feet in diamater, it grabbed a five foot long centipede and said, ‘We are going to kill you!” TO which I replied, ‘No you are not!” and I took the snakes head off. That is one of MANY different encounters on my path to wellness that I have encountered. They can be rather intense. I also once was on my knees praying, and my cousin all the way in SOuth Carolina (i live in NM) had a cool dream that my Nana (no longer alive) and five other deceased woman relatives were in a circle praying for me and I was in the center. SHe heard, ‘Will she accept it!” I guess I did accept their prayers. No, I correct myself. The huge snake was probably a foot or a foot and a half in diameter, or maybe two feet in diameter, but was about 30 feet long. I’ve had many encounters in the spirit realm, but that surpassed them all. what a bunch of nonsense. your arguments are downright silly. Heaven is real because you dreamt it. what rot!! Come on, doc… fess up. you are just stringing the xian rubes along, aren’t you?!! I have to wonder your egregious misinterpretation of Carl Sagan’s Demon Haunted World in the debate. From The Demon Haunted World, pg 302. I can only interpret that as illiteracy or dishonesty. Or am I missing something? Just an honest attempt to remember something I had recently read – I was actually surprised I remembered the page number perfectly. I remembered recently reading the quote and being quite astonished that Carl Sagan, in his opinion, stated that the evidence for reincarnation, based on young children remembering details of a previous life, deserves serious study. That is striking. Sorry I used the word “overwhelming,” but if you stop to think about exactly what Carl Sagan said, it should impress you significantly (why split hairs over “overwhelming” vs “deserves serious study”?). Novella said “I’ve read that book a hundred times” (really? 100? ), and “That is just not true.” He told me backstage that he had read that book several times and that he did not remember that quote at all, yet the next day he posted on his blog that I was correct, that the statement was on page 302 as I had remembered (minus the word “overwhelming”). The evidence is more powerful now than that of which Sagan was aware – read Jim Tucker’s 2013 book “Return to Life: Extraordinary Cases of Children who remember Past Lives.” Extraordinary evidence supporting this reality — to simply deny it outright is to be willfully ignorant. This is not a matter of splitting hairs, this is a matter of intellectual honesty and academic validity. You said something that was categorically untrue to make a point in the debate. Your error was pointed out to you. Instead of addressing it or acknowledging it, but write a blog post in which you further quote Sagan (which was a really really odd choice in light of the fact), it’s again pointed out to you here that you made an error… And you are doubling down on it? Spinning it? You are saying that Novella’s blog post is proof that you were “correct” (maybe you need to reread that too)? How, exactly, do you think you are/were “correct”? Correct me if I am wrong (please), but Steve Novella did NOT blog that you “were correct” the next day. Correct about what, exactly? The only correct portion of your above statement is that the page number you’ve given was and remains 302, and that’s it. Beyond that, you’re grasping at straws here. It would be unfair not to grant you the benefit of the doubt. Maybe you didn’t remember the statement in question on page 302 correctly. Or maybe you misinterpreted it when you read it. Granted. But we’re past that now. What is striking, Eben, is that Sagan said the evidence is not good. What is striking is how you can interpret something to mean the opposite of what it is in fact stating. What I find particularly striking here, is how you are reacting to people pointing out the fact, to you, that what you said was categorically and verifiably untrue. Sorry, I have to disagree. What Sagan did say (as posted above) was that this phenomenon was significant enough to merit serious study. I think the point Dr Alexander is trying to make is that fact that Sagan made this statement as an skeptic and atheist is significant. If he really thought it was utter nonsense why would he consider these phenomena to be worthy of any further research at all ? So despite his skeptical worldview, Sagan, to his credit, still had the integrity to apply his rigorous scientific reasoning to certain hypotheses that were outside ‘sensible’ scientific inquiry, or even in direct conflict with his own views. This is in stark contrast to the prominent skeptics/atheists that dominate the discourse of science/spirituality these days; Dawkins, Harris etc. I’m sure they would regard the idea of researching reincarnation with scorn. If you take consciousness as another example, they will happily admit they do not understand how precisely how consciousness emerges but then they will dismiss the findings of Penrose and Hammeroff as ‘not being science’ , which is somewhat ironic. You seem to be missing the context of that statement. To say something is deserving of serious study does not mean one believes it’s true. Sagan wasn’t even saying the evidence for past life regression was good, just that it hadn’t been ruled out yet. This paragraph says it all. This isn’t splitting hairs; what Sagan wrote was essentially the opposite of what you said. Just so you know, Carl Sagan is one of Novella’s heroes, and that book is probably the closest thing to a bible he has =] Maybe he hasn’t read it a hundred times, but he knows it very well, and he reveres Sagan, which was why your mischaracterization of Sagan got Novella so upset. It is true that Dr. Alexander’s memory was exaggerated. However, I think you are also slightly missing the point when you say “to say something is deserving serious study does not mean one believes its true.” Good science isn’t about what you believe or disbelief. Sagan had the courage and open-mindedness to admit that even though he finds these claims unlikely, they seem to have “at least some…experimental support,” which is why they deserve serious study. Contrast that with Novella’s statement that “a century of parapsychological research did not reveal one bit of reliable evidence” (forgive me if my wording is not 100% accurate, but I know that was the point he made). This is simply not true at this point and shows that either Novella hasn’t looked at the relevant evidence or that he is so closed off to the possibility that he’s denying that there is any valid evidence. Since Sagan’s time, more high-quality ESP studies have yielded significant results and more cases of children apparently remembering past lives have been researched. “…yielded significant results…” Kind of like “overwhelming evidence,” eh? Anyway, what you say is not actually true. But it’s pointless to talk about these things with people who see “overwhelming evidence” and “significant results” in information which is contrary to what they believe in. And by the way, the opposing side has also made a lot of statements that are “factually incorrect.” For example, Sean Carroll’s repeated assertion that the hypothesized mind-brain interaction would necessarily violate the laws of physics is contradicted by quantum physics and recent advancements in quantum biology. He also suggested that the mystery that made the founding fathers of quantum mechanics believe that consciousness was a fundamental part of reality has been solved, while a simple Google search reveals that the “measurement problem,” which is precisely the issue that puzzled them, is unresolved. Even if the observing mind does not directly influence quantum reality, it is clear that the latter is inherently informational, which suggests that consciousness in a more general sense is fundamental and behind quantum manifestations. Sean also claimed there is zero evidence of other realms, but physicists know that “dark energy” and “dark matter” make up around 96% of the universe, and it is hypothesized that at least some types of dark matter may conglomerate into “dark atoms and molecules,” which means there is a good chance that the “dark realm” is just as complex as the one we live in. Perhaps you should, for fairness’ sake, point all of this out on Carroll’s and Novella’s wall? I too, am curious about this. Thank you for posting the relevant reference. Do people commenting here (Graham Nicholls above, as well as Eben Alexander) actually believe that Sagan was some sort of proponent for all this supernatural stuff? Or that he found purported evidence for it to be compelling? Please read the passage stray cat has posted above. Please help me understand how one can read this, and conclude that Sagan found (the mentioned) supernatural claims as compelling, or of being supported by (not dubious) evidence, or of being likely valid. Or, as Alexander put it in the debate; “Sagan admitted that past life memories in children, the evidence for that is overwhelming.” Emphasis on “overwhelming”. The claim Eben made, and the reference he cited, are incompatible. Please read page 302 of Demon-Haunted World (carefully). Quotes can be misremembered when it comes at the top of your head. I think the answer to your question is right above. I get heated moments in debates, but facts are important. And they can be verified. Intellectual honesty and academic integrity are important. How one responds to their errors is revealing in many ways. Shadao…”quotes can be misremembered” indeed. Would you concede the same of NDEs? 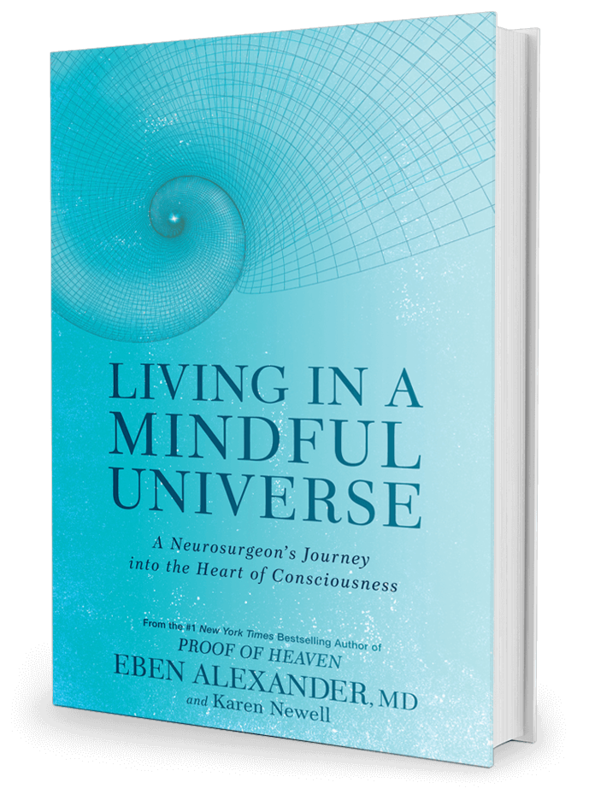 Implying that I am 100% behind Eben Alexander’s belief that his NDE is genuine proof of heaven. 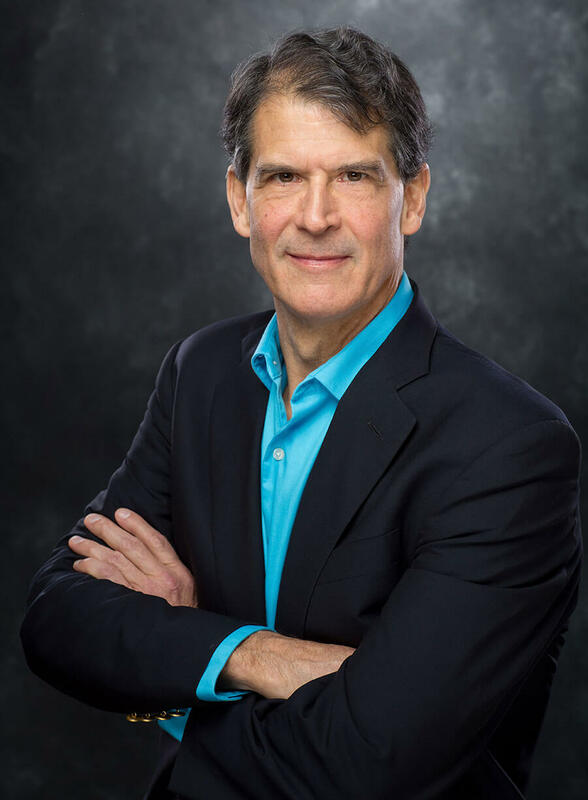 I did not say that what Eben Alexander believes in is completely true. Nor do I deny it either. I always have skepticism to NDE claims, and double check them to see if I had not encounter fraud. I only responded to the poster that “quotes can be misremembered” because I felt he was subtly implying that Eben Alexander was intentionally being dishonest about his experience and Carl Sagan. I responded that it is possible that Alexander could have accidentally made a flub with statement, a common mistake that I have seen in debates, hence the word “can”. Mistakes, errors, and misidentifications have been made in the past before, both in eyewitness account and scientific authorities. Everyone knows that is always the possibility in every discovery, and encourages further research to validate or invalidate the claim. If a person challenges Alexander’s claim with logical questions, then it is fine. But if a person directly attacks Alexander for his claim, calling him deluded or a fraud, that is not fine at all. Does it matter what Carl Sagan thought ? Is he the only arbiter of the ultimate questions ? He was just a bloke with an extremely good mind/brain, wasn’t he ? Read the NDE research with an open mind, even “Joe Soap” the bottle washer can see that something is going on which science can’t explain. You don’t need to be an astronomer/astrophysicist. Dr. Alexander, you are a true legend and history will show you as one of the truest scientists of all time. It doesn’t matter what the naysayers think, they are wrong. They have not one scrap of evidence for their arguments and yet the library of NDE’s provides volumes. no, he is a quack, just like deepak chopra. Perché non rispondi al mio invito di venire a Trapani? Vieni e vedi… con i Tuoi occhi….. I miracoli di Dio Padre!!! Dr. Alexander – What is your opinion about spiritual regression induced by hypnotherapy? Dr. Michael Newton (founder of the Newton Institute) has extensively documented testimonials of patients who have experienced the spiritual realm and previous lives through hypnosis, confirming your descriptions, but without the NDE. And two other interesting books are ‘A More Excellent Way, Spiritual Roots to Disease Pathways to Wholeness’ by Pastor Henry Wright and Glynis Has Your Number by Glynnis McCants. I just learned about Glynis’ book last year and am so glad because I understand myself so much better, as well as now I do other peoples life paths and numerology and I am like, ‘Ok, I get it now.’ 12-11-1953 is a life path of a 5! Eben, your book has brought great enthusiasm to me; I am an LMT practicing in Naples, Florida. I heard of your book from Joe Spano MD who organized a guided meditation for the last thirty years here. I am of freshmen efforts in anatomy and physiology but did recognize your statement that what took place is common in patients with MCI. This makes me aware of the actions of the heart. It is within the pericardium that consciousness originates. You have the resources and knowledge to verify~look at this! Please, do not waste your time with those trying to discredit you. For every single one in denial, there are many ready and willing to learn from you! One more thing- given that the burden of proof falls on the “For” motion, many reasonable people will vote against either position if it is expressed as either “Death is final” or, “Death is not final.” It might be useful to bear this in mind! I consider myself to be on your side, but I hope this serves as a lesson! These guys are clever and tough, and you need to be better prepared than you were. 1) You should concede that the live audience gave them the victory. Not to do so makes you look dishonest. 2) Study Quantum Mechanics harder and carefully formulate what you want to say about it, or the likes of Sean Carroll will eat you alive. 3) Have a variety of detailed evidence at your fingertips, and be prepared for the objections in each case. Good luck! Just trying to be helpful. I think Eben and Ray Moody did alright. Novella and Carroll did better at persuading that particular audience yes but Novella in particular was saying things that weren’t true. OBE’s of the type experienced during cardiac arrest cannot and have not been duplicated in the laboratory. And all the features of the NDE cannot and have not been reproduced by stimulating the brain with electro magnetism or G-lock or shutting parts down as in seizure. Novella has to explain how the whole NDE (veridical OBE, travelling at great speed through a tunnel, entering a beautiful brilliantly lit landscape and meeting deceased relatives) can be expected to occur as the result of some narrow brain disorder. He hasn’t and he can’t and yet he’s still singing the same song. Of course it’s obvious why…he would lose his tenure and status or at the very least his career would be shunted into the sidings. Also I should have mentioned that even if gravitation is not fundamental and can be explained by more fundamental fields or particles, consciousness cannot *in principle* be explained by such a reductive analysis. The reason being that physical processes such as gravitation can be cashed out exclusively in terms of structure and dynamics, where as consciousness cannot since the defining essence of consciousness is its qualitative feel. See the arguments of David Chalmers in this regard. In short pointing out that we can’t explain how the earth explains gravity and supposing it is similar to how the brain creates consciousness problem suggests the person making the comparison doesn’t understand the mind/body problem. “You did address in the debate, as you have multiple times in this article, that modern scientists cannot describe “the first sentence” of how the brain creates consciousness, but Dr. Novella’s response that we similarly cannot describe *how* the earth creates gravity (which in no way diminishes our knowledge *that* the earth creates gravity)was never given an adequate response, at least in my eyes”. between them. Gravitational force is a fundamental property of mass that is. reality which is not susceptible to further analysis. Electrical force is a fundamental property of electrons and protons that is. So the question of how the Earth creates gravity is not applicable. consciousness, rather consciousness is elicited when . .what? . .a certain degree of physical complexity is attained? But that would make consciousness a fundamental property. So no explanation of it would be required and at least reductive materialism fails. But the problem is that unlike gravitation which, although it varies, is always present no matter what the mass of the bodies, we normally think only brains or similar complex physical processes elicit consciousness. Really, if brains do, all physical processes should elicit consciousness. Personally I think the filter hypothesis of the brain explains a great deal and is to be preferred. It seemed to me that the skeptical team were happy to create straw-man arguments, and over state things from the start of the debate. For example the “immaterial soul”, or “spirit blob energy”, or the constant claims that neuroscience has found more than it has, even the claim to be able to induce OBEs was exaggerated by Novella – I could go on. From the immaterial soul it was easy raise Kant’s famous objection to Swedenborg relating to how something immaterial could not interact with the material. But of course our understanding of what constitutes the material has greatly changed since Kant’s day. Referencing the Quantum level of reality in such instances is not an appeal to mystery as was implied. In fact the work of physicists like Sir Roger Penrose, Nobel Laureate Brain Josephson, and Henry Stapp, among others all suggest a Quantum aspect to consciousness, and they include areas like psi or the extended mind with that framework. So it is not the experiencers, or the new age proponents saying these things, it is physicists versed in exactly the level of science needed to grasp the subtleties of the problem. For this reason it seems to me untrue to say that consciousness being more than the brain would require us to completely rewrite the laws of physics. There is already evidence suggesting neurons, and low levels of the brain utilise Quantum effects. When you mentioned the views of Carl Sagan the skeptics were quick to paint him as closed minded and sharing their views. In fact, although you slightly overstated things, he did clearly support further research in three key areas of parapsychology, namely: Micro-PK, Telepathy (Ganzfeld experiments), and reincarnation cases in children – he believed they “might be true”. That is far from the attitude that these things “cannot be true” as the skeptics claim. I have spent a life time having out-of-body experiences and looking for an explanation for them. The skeptical claims ignore the veridical elements that come through time and time again in my experiences, and in prospective studies recorded, witnessed and detailed at the time they occurred (not anecdotes as was claimed). Since Carl Sagan’s day things have progressed, we now have a body of remote viewing data, and huge odds in favour of telepathy (29 Quintillion to 1 in favour according to Dean Radin’s meta-analysis of the Ganzfeld data). So based on his previous statement it is likely Sagan would be closer than ever to supporting the existence of the extended mind or psi. To dismiss all of the available data and evidence would seem irrational to me, this is not a position based on a few weak stories as was claimed by Carroll, this is an area supported by a convergence of evidence, from laboratory research into telepathy; precognition; remote viewing; prospective NDE research; reincarnation cases, from children; to even shared/witnessed OBEs and NDEs. As you say, consciousness is the greatest mystery of all, and it is too important to be limited by views that ignore or ridicule experiences such as yours and mine. I look forward to meeting you in person at the International Remote Viewing Association Conference in June. OBE specialist, and author of Avenues of the Human Spirit, and, Navigating the Out-of-Body Experience. 1. You did address in the debate, as you have multiple times in this article, that modern scientists cannot describe “the first sentence” of how the brain creates consciousness, but Dr. Novella’s response that we similarly cannot describe *how* the earth creates gravity (which in no way diminishes our knowledge *that* the earth creates gravity) was never given an adequate response, at least in my eyes. With this in mind, can you clarify your argument, which you stated sends a “crashing thunderbolt that demolishes simplistic scientific materialism”? 2. In a similar vein, I would like to know if you can describe the first sentence of how exactly the brain acts as this “reducing valve”, or how it interacts with whatever plane the true consciousness resides in. This does seem to be a claim very far from my own (obviously incomplete) understanding of the world, and as you put such an emphasis on this type of explanation for the other side’s model, I would like to see it applied to your own. Thank you very much for participating in what was a very interesting debate. I hope this follow-up can serve to improve my own understanding of the universe we live in. The evidence that the brain creates consciousness, the core of materialist theory, is greatly lacking (The Hard Problem of Consciousness is a far deeper mystery than I ever realized before – literally, no neuroscientist on earth can offer the first sentence to explain any such mechanism in the physical brain as the creator of consciousness – it is a glaring red flag, as in “the Emperor has no clothes,” used as part of the title of Roger Penrose’s excellent launch into this deep physics mystery in his 1989 book The Emperor’s New Mind). One can know much more about gravity than “mass creates gravity,” as in “mass warps space-time resulting in what we see as gravity” (and the fundamental explanation or law can go far deeper than that). Likewise, we know the brain is tightly linked to the phenomenon of consciousness, but jumping to “the brain creates consciousness” ignores the overwhelming evidence that it is more a reducing valve or transceiver limiting or only permitting certain refined elements to express in awareness. The central event of my deep coma journey was the “blinders coming off,” the extreme ultra-reality of the Gateway Realm, the lowest spiritual realm on my journey. It was all way “too real to be real,” which in my earliest phase of analysis drove me straight into my prior models of brain-creates-mind, but with the new challenge of having to describe that greatly enhanced version of reality in spite of widespread destruction of the neocortex. As much as I was shocked by the overall experience, I defaulted to my materialistic model in trying to explain it. Over the next few months, all of my scientific knowledge slowly returned, and I began reviewing all of the medical records in my case (neurological exams, MR and CT scans, lab results, medications, etc). Working with colleagues in trying to explain it, we began to realize that the filter model made far more sense than trying to explain it from the brain-creates-consciousness model (the primitive, unresponsive initial Earthworm’s Eye View being the best consciousness my physical brain could muster while my neocortex was being destroyed by infection). That realization placed me deeply into seeing advantages in the filter model. My extensive reading of the modern scientific literature on non-local consciousness (ie. that we can know things far beyond the ken of our physical senses, as in telepathy, precognition, past life memories in children, out-of-body experiences, remote viewing, near- death experiences, shared-death and actual death experiences, etc.) – revealed the value of the filter model to help explain the myriad spiritually transformative experiences occurring over millennia (those interested should read Irreducible Mind: Toward a Psychology for the 21st Century, edited by Edward Kelly et al. ; also Consciousness Beyond Life, by Dr. Pim van Lommel). This inquiry naturally leads to realizing that the enigma of the interpretation of the results of experiments in quantum mechanics, that revealed to the brilliant founding fathers of the field (Bohr, Heisenberg, Debroglie, Schroedinger, Wigner, von Neumann and others) that consciousness plays a crucial role in the evolution of reality, is a crucial link in the chain of understanding. Carroll pretends that current physicists have “gotten over it,” that one can forget about the deep sense those earlier brilliant physicists had of the key role of consciousness – but that is false! His “joke” reveals his blind spot – that he, and like-minded thinkers, refuse to accept a superior creative intelligence at the core of all existence – too close to the G word. Given the actual magnitude of consciousness in creating any human’s “view” of reality, to totally ignore it as an epiphenomenon or illusion, is a grave mistake if one is truly interested in getting to a deeper knowing of reality. The measurement problem in QM is more profound and mysterious than ever. The filter theory offers a more facile solution – consciousness is at the origin of all existence, and plays that crucial role in determining the actual quantum outcome that manifests into reality. A great book delving into all of this, including how QM might explain how soul influences physical matter (best interpretation possibly the GRW dynamic collapse model, though I do not feel that that is the end of the story – there is far more work necessary to come to any scientific understanding) is The Soul Hypothesis, edited by Baker & Goetz. Based on my experience and much of what I’ve read, I believe the neocortex is the anatomical substrate of the filtering function (or “the veil”), and that is the focus of my current research, in efforts to synchronize neocortical activity to set consciousness free, similar to what happened with my meningitis. My closing comments concerning the frequently observed clinical phenomena of acquired savant syndromes and terminal lucidity was to illustrate to the audience that we have numerous examples of brain damage uncovering super-human mental capabilities, notably of calculation and perfect memorization of various types, also supporting the filter theory as opposed to the simplistic “brain-creates-mind” model. Could you comment on Dr Robert Lanzas theory of Biocentrism? Dr Dr Alexander ,I have been working among patients for the last 34 years and I know that life after death exists.I would like to sate that every time I had a “mystical ” awareness of God’s presence or Presence it was always unexpected and coming from outside of my own consciousness.Also scientists will never be able to prove or disprove life after death in a laboratory as faith,trust ,love in God are the central elements of human existence if we allowed them to work,they cannot be dissected under a scalpel !Therefore the debate was totally irrelevant as those two scientists were obviously unconscious ! The Intelligence Squared debate was fascinating with the only disappointment being the jokes and playing to the gallery. A tactic more designed to suppress debate than contribute to it. It’s tragic that understanding of our world is so often these days seen to be best served by hiding behind a barricade and throwing bricks at those who take an opposing view. Your comments on seeing the brain as a reducing valve or filter reminded me of something I read some time ago where the brain was described as an aerial, with extreme cases of Hydrocephalus used as evidence to support the view. Certainly not mainstream. I would like to thank you for attempting to stimulate serious investigation of this topic. Who knows where it will lead in the future? With luck it will surprise both sides of the current debate. Some more books and material you might like to get your hands on regarding supernatural phenomena/healing…(well, at least I did) The Spontaneous Healing of Belief by Greg Braden; My Life After Life by Dr. Stoller and Galen Stoller; Your Past Lives and the Healing Process by Dr. Finkelstein; Psychic Warrior by David Morehouse; The Biggest Secret by David Icke; The Story of Edgar Cayce by Dr. Gerald Jamposky, MD; and if you haven’t heard Katie Souza’s DVD’s called ‘The Glory Light of Jesus’, she discusses how the Light is a supernatural tool in healing. And as for the gut/brain connection in some autistic children, Dr. Wakefield’s book ‘Callous Disregard’ in terms of the brain (not exactly afterlife but good book) Ok, so might as well mention ‘Healing the Symptoms Known as Autism’ by Rivera. Thanks for a penetrating and stimulating follow up response to the Intelligence Squared debate. I wasn’t able to watch it, but have read not only your book, but all your major recommended books on your site and many others. Plus listened to countless interviews, working with you “Seeking Heaven” DVDs, and so on. There definitely is an Afterlife, the nature of which appears to be of practically infinite in possibilities. I had a feeling that the audience would be stacked with more pseudo-skeptics and debunkers, but the online responders to the poll showed to be much more savvy and openminded. Although, the question of an Afterlife is not something one decides on the basis of one debate. It takes some time to read all the evidence, ponder and meditate on it. I’m probably not the only one who’s looking forward to your next book. Do you know when it might be coming out? Best to you at the upcoming Afterlife Conference in Portland, Oregon with all the other luminaries attending. Thanks for watching the debate. Eben can better respond to questions and comments about his follow-up post, but here’s the scoop on his next book: it’s done! Well, mostly. Editing, printing and distributing the book will take some time, but the writing is complete and it will hit shelves this November. I don’t want to spill all the beans here, but I’ll post an update soon with more details, including the title, the exact publication date, and a sneak peek! Thanks, Dara, for the update on Dr. Alexander’s next book. I just noticed it your post. I’m looking forward to it, and are many others. Please keep up further updated!